How Do I Add a New Restaurant? Welcome to the vegaroo! Restaurant Guide. Please note that the vegaroo! restaurant guide is still in its Beta stage. 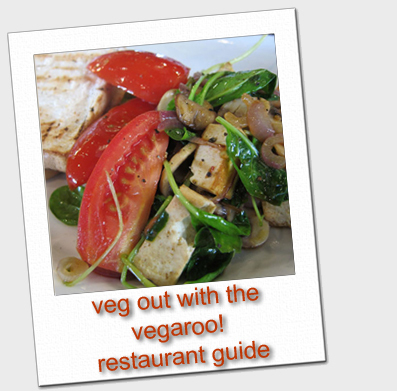 Many restaurants may not have pages yet, but you can help by adding your own content or emailing sharon@vegaroo.com with suggestions.